Informed by a tradition of Quaker values, Earlham provides an environment characterized by an interdisciplinary-minded & research-focus education. Students value living & working effectively with others; lifelong learning; cultural, ethnic and religious diversity; and engagement as global citizens. Earlham students take charge of their own learning and are prepared for professional success and admission to top graduate programs. They choose from more than 40 fields of study and are taught by dedicated professors. Classes are small, with rich opportunities for discussion, investigation and discovery. Earlham is committed to welcoming students from all over the world. Our students come from all over the U.S. and about 80 other countries. In fact, Earlham ranks 6th among national liberal arts colleges in the largest percentage of international students on campus, according to U.S. News and World Report. Earlham students have a sense of stewardship about their lives and believe in their power and responsibility to change the world, according toColleges That Change Lives: 40 Schools That Will Change the Way You Think About Colleges. About 30% of graduates surveyed reported that most or all of their work was oriented to social change. Earlham ranks 29th among 1,306 U.S. institutions of higher learning for the percentage of graduates who go on to earn a Ph.D. In the life sciences, we rank 9th among 1,341 institutions. Fifty percent of Earlham alumni begin graduate school within 10 years of graduation. 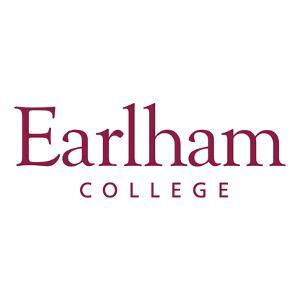 Want More Information about Earlham College? Your request will be sent directly to Earlham College. By submitting this form I confirm that I am at least 13 years of age and give my consent to be contacted by Earlham College by email as well as by phone and/or mail (if provided).